recommended for: For fans of Kit in the Candlestick by Nixie Turner, Alice in Wonderland, and other whimsical adventures. Daisy Darling has never believed in the supernatural nor the spooky claims about the items sold in her family’s antique shop. She’s never sprouted wings, shaken hands with a time-traveling wizard, or even had a boyfriend. 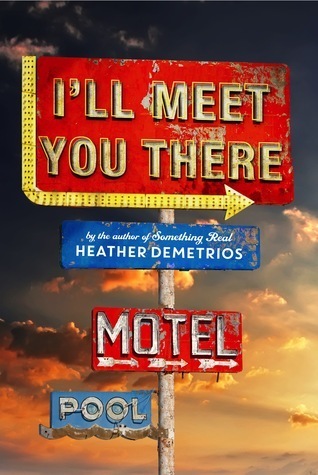 All she knows is a boring life taking care of her ailing father in her tiny mountain town. Strange Luck intrigued me immediately with its premise. Meet Daisy, a girl who lives with her father in their shop of oddities. Daisy has never believed the stories behind the items they buy: hats that make you disappear, haunted mirrors, paintings that change with the weather. Then, she finds a map that leads her to a place even her skepticism can't deny. A place that feeds on memories. My favorite aspect of the book was Winters' whimsical portrayal of Nameless, the place of no memories. It's a beautiful but desolate world. Its residents live in fear of "him," the creator of the world. He sates his appetite by devouring each person's best memories, one by one, until there's little left of them but a husk. The horrible aching imagining of myself losing my memories, losing my very identity, kept me reading. It was such a cool concept for a fantasy villain, and it amped up the tension as Daisy and her friend Roger moved deeper into the world and found themselves forgetting more and more. In execution, the book has relatively strong scaffolding, but some of the execution is a bit clumsy. The dialogue was sometimes cheesy, the characters inconsistent or irrationally emotional, and the plot jerky. Their trials felt too easy, with a few helpings of deus ex machina. I also didn't really understand the whole scheme for defeating the villain, nor what happened just after Daisy and Roger escaped Nameless. Yet in other places, Winters overexplains the story instead of trusting her readers to put the details together. These are all a number of things that mark this book as a debut. However, hitches and all, Winters has written a really clever, interesting book. Her Nameless world is a kind of psychological Wonderland, and she expertly juxtaposes tongue-in-cheek ridiculousness like the wizard Nedder Fedder with more serious investigations of how memories are the core of our selves. If you're looking for a light, fun read, you're in Strange Luck. 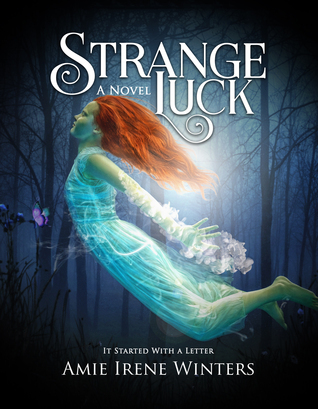 Strange Luck is a whimsical young adult adventure into a fantasy land where memories are precious currency, and escape means getting out before you forget who you are. Note: I received this copy from the author in exchange for a review. The price of the book and its origin in no way affected by stated opinions. I know, such a pretty cover!